Last week I've been invited by Bakerzin to review some of their new concept store. 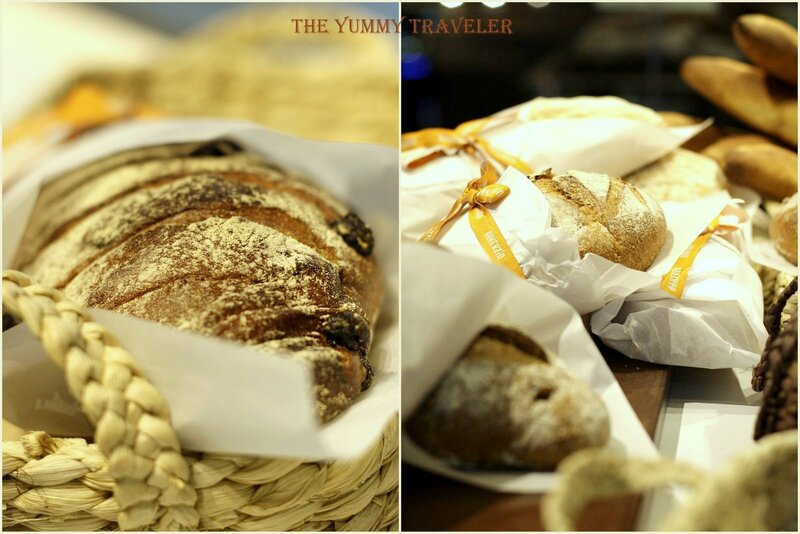 Located at Summarecon Mall Serpong 2, Bakerzin now offering variety of bread and pastry, but only at this branch. Firstly open at 8th March 2012, they're invited us, food bloggers, press & media one day before open. Such a pleasing invite, since I love this casual dining- dessert cafe from Singapore. Located at the Downtown Walk ( the outdoor dining area), you can choose you want to sit indoor or outdoor. The ambiance were warm and cozy, perfect for hangout or maybe just a business meeting. Bakerzin Artisan Bread was dedicating to bring fresh, non emulsion and non preservative European style bread/pastry everyday, Natural and Healthy. Mr Daniel Tay - Bakerzin CEO, said, " My first love is to bake a bread. In the beginning of my career, I spend a lot of time of learning the art and knowledge to bake a right European style bread. Because of so many requests comes to me, now I decide to dedicate this branch to offer many kinds of bread, danish and sweet bread." So here I am, excited to try some of their artisan bread. Shall we start? The highlight of the day is Bamboo Charcoal Chicken Floss Bun - IDR 9.000,-. Yes charcoal! ;D Who knows Bamboo Charcoal was actually good for health? haha... Don't worry it's really edible, so it's safe. The taste just like an usual Chicken Floss Bun. Even it has a black color, it doesn't bitter at all. There's also a custard inside it. Tuna Puff - IDR 12.000,-. The tuna inside the puff is really spicy! Coffee Stick - IDR 12.000,-. I love the shape of this pastry! So pretty ! The texture was like croissant with a hint of coffee. Almond Croissant - IDR 12.000,-. I love this croissant ! It has a nice crunch and a perfect sweetness. Peach Bun - IDR 9.000,-. The bun outside was quite fluffy, but to me it's still a lil' bit undercooked on the center, too soggy. They also offer many kinds of bread, such as Focaccia, Brioche, Baguette, Ciabatta, Levain, Walnut / Sultanas Bread. Nice ! Bakerzin also provide outside catering specialized in canapes. That time I tried some, which is Bacon with Bratwurst, Smoked Salmon and Cheese Tart, Chicken Breast and Walnut Sandwich, Beef Teriyaki Vol Au Vent, Prawn Cocktail, Mini Almond Croissant & Raspberry Tart - IDR 7.500 - 10.000/each. I looooveee all the canapes ! All of it were taste so good! But my most fave definitely the Smoked Salmon and Cheese Tart. Yum! Besides the artisan bread, we also get a chance to taste some of their restaurant menu, such as, Chicken and Baby Potatoes. Cook with just Balsamic Vinegar, Olive Oil and Blackpepper, it taste simple and nice. But too bad this time the skin of the chicken wasn't crisp enough. Because I've try this dish before at another branch of Bakerzin, and it taste more better. Dessert! My fave part! ;D We try their Strawberry Pannacotta ( Tapas size IDR 15.000,- ) and Macarons ( IDR 7.500,-/ each). I L.O.V.E their pannacotta!! It has a perfect consistency, and a strong vanilla flavor! aahhhh.... love it! 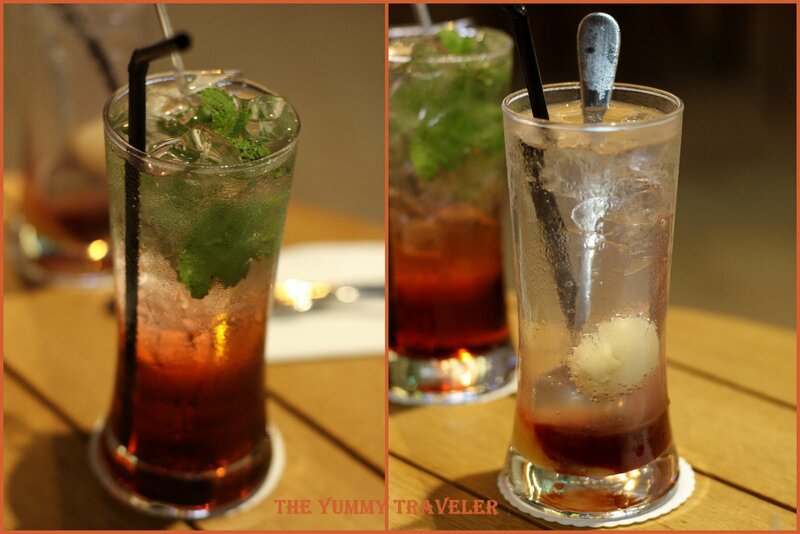 For the drinks, we order some of their monthly theme, which is Strawberry, we order Strawberry Mint Freeze -IDR 32.500 & Strawberry Temptation - IDR27.500,-. Overall, I really had a good time and a great tasting dinner. Thanks Bakerzin & Goorme for inviting! I have noticed you start a most of your blogs with "I've" when you are talking about something that happens in the past. It should be "I was invited to..." It makes it hard to read a lot of your posts when so many start with the same error. Other than that, good blog and I hope to eat at some of the places in the future. @ irene : yes. worth try. Hey, what a nice blog you have here ;) salam kenal btw! Ini bakerzin menurut aku sih macaron nya agak kemanisan, tapi aku cobanya di mall kelapa gading. Di MKG ga ada roti nya ya kalo ga salah? Jadi ini baru outlet pertama mereka yang ada bread nya? I think they're trying to open a new concept for their target market -read:indo- Let's see how people respond then.